Jabhat al-Nusra produces chemical weapons in Syria, says a new report. While the former White House Deputy Chief of Staff, Mr. Karl Rove, has criticized the U.S. President and Nobel Prize laureate Barack Obama for asking the Congress in the United States for the permission to attack Syria and then heading to Russia, a new report underlines that the Syrian Al-Qaeda offshoot, the Jabhat al-Nusra (al-Nusra Front) is producing chemical weapons on Syrian soil and thus, the assumptions recently made by e.g. the German intelligence chief that the Syrian government and Syria’s army would be the only power in Syria which has access to chemical weapons, is refuted. These assumptions and conclusions by the German intelligence chief (BND) and other intelligence officers from the United States, France and Britain, which have served as support for the accusations against the Syrian government in Damascus that it has used chemical weapons (e.g. Sarin nerve agent) in attacks on Syrian civilians in suburbs of the capital on August 21 were already suspicious due to the situation that nobody can base such accusations on assumptions. Every court would have rejected the claims based on such assumptions by e.g. the German intelligence chief. However, these persons tried to sell it as evidence for the accusations against the Syrian army and the government of President al-Assad in Damascus. Assumptions are worth nothing and they know it, of course. But the headlines following such statements including these assumptions which underlined the baseless accusations against Syria were useful for propaganda purposes and they probably hoped that it might convince some more people to support the Saudi-Israeli-American war plans against Syria. The new report about the dangerous machinations of the Al-Qaeda-affiliated al-Nusra Front (Jabhat al-Nusra) in Syria says that the foreign-backed jihadists and terrorists operating in Syria have already produced chemical weapons (e.g. Sarin nerve gas / poison gas) in suburbs of the Syrian capital, Damascus. According to the report, it is even known who was responsible for producing chemical weapons in the ranks of the al-Nusra Front near Damascus. The chemical weapons were allegedly produced by an individual person in the ranks of the Syrian Al-Qaeda offshoot – Hani Nour Eldin Aqeel. The poison gas / chemical weapons was produced in a workshop of the al-Nusra Front in the Syrian city of Yabroud. Afterwards, the poison gas (e.g. Sarin nerve gas) was transported to the city of Douma in domestic gas capsules, which are not uncommon in Syria. The report says further that women have transported the domestic gas capsules, filled with deadly poison gas, from the Syrian city of Yabroud to the city of Douma, and in terms of these women, it is referred to as “Harayer al-Soura”. The report itself was published by the Arab news website Asianewslb on Sunday. It is further mentioned that Syrian residents in the region have already stated that the Islamist fighters of the al-Qaeda-linked al-Nusra Front (Jabhat al-Nusra) have been running bomb-making workshops in Yabroud for a longer time. The Syrian locals also said that the al-Nusra Front have transported the produced bombs and the explosive devices to different regions of the Arab country, including the capital Damascus and Syria’s neighbouring country Lebanon. Meanwhile, U.S. President Barack Obama has been criticized by another known person in the United States. The former White House Deputy Chief of Staff Karl Rove has criticized Barack Obama for asking the US Congress for its authorization for the attack on Syria and then heading to Russia. But the Republican politician Karl Rove had more to say in terms of Obama, of course. For example, Karl Rove also stated in his interview with Fox News on Sunday that the war plans of the Obama administration on Syria are an “unmitigated disaster” and further said that “it’s amateur hour at the White House.” Rove made these remarks in his typical manner. A report says the foreign-backed militants operating inside Syria have been making chemical weapons in the suburbs of the Syrian capital, Damascus. The weapons, which are made by an individual named Hani Nour Eldin Aqeel in a workshop in the city of Yabroud, are smuggled to the city of Douma in domestic gas capsules by women who have come to be referred to as Harayer al-Soura, the Arabic-language news website Asianewslb reported on Sunday. Meanwhile, local reports also said that the al-Qaeda-linked al-Nusra Front has been running bomb-making workshops in Yabroud and transfer the explosives to the different areas of Syria, including the capital, as well as neighboring Lebanon. The al-Nusra Front has been behind many of the deadly bombings targeting both civilians and government institutions across Syria. The development comes as the United States is struggling to secure support for military action against Syria over the accusation that the Syrian government has used chemical weapon against its people. The US Congress will officially start debating a US administration plan for war when lawmakers end their recess on September 9. The recent war rhetoric against Syria first gained momentum on August 21, when the militants operating inside the Middle Eastern country and its foreign-backed opposition claimed that over a thousand people had been killed in a government chemical attack on the outskirts of Damascus. The UN, Iran, Russia, and China have warned against war. 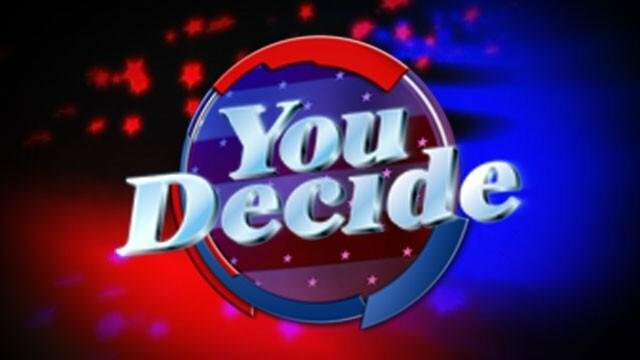 The American people do not vote for presidential and vice presidential candidates, they vote for electors, who in turn, cast their vote for president and vice president. Electors are sworn to cast a vote only for “eligible” candidates and to certify that all candidates on the ballot are eligible for office and have been duly elected, before casting their ballot before congress. Twice now, in 2008 and 2012, Electors failed in their sworn duty, certifying and casting their ballot for Barack Hussein Obama, despite knowledge that Obama is not constitutionally eligible for the office of president and that he had won both elections through historic fraudulent efforts. The law requires that the Electoral College certify the ballot and present its vote to congress for certification on the 6th of January following each presidential election. Because the 6th was a Sunday this year, members of congress bumped the congressional certification to Friday the 4th, without fanfare last Friday. Earlier last week, The North American Law Center delivered notice to all members of congress, advising them not to become complicit in the fraud by certifying the fraud on Friday. Members of congress ignored that notice and Friday afternoon, the Electoral College and all members of congress affirmed the re-election of Barack Hussein Obama for a second term, each of them becoming complicit with malice aforethought in the greatest fraud ever perpetrated on the American people. The question is now, what will the American people do about it? Under 3 USC § 15 – Counting electoral votes in Congress, objection from only one (1) member from each chamber of congress was enough to stop congressional certification of the 2012 election, returning the matter to both chambers for consideration at which point congress could have opened an investigation into the massive evidence of election fraud. Sadly, not a single elector or member of congress objected, not even one. House members like Tea Party darling Rep. Michelle Bachmann could have been the one House member to stop the 2012 fraud. – Or, it could have been another Tea Party Caucus member, or maybe all of them. Republicans control the House and they could have stopped the most fraudulent election in US history without a single Democrat member. But in the end, not a single elector or member of congress had the decency or backbone to stop the Marxist theft of America despite a mountain of evidence right under their noses and prior notice from The North American Law Center. The last act of the 112th congress was to roll over and play dead as Obama raised taxes without trimming any spending, throwing the nation off the fiscal cliff with trillions in new deficit spending and taxes. The first act of the new 113th congress was to confirm the fraudulent re-election of Barack Hussein Obama without objection. Members of congress are clearly not worried about any fiscal cliff, but rather the political cliff they were all teetering on as millions of Obama’s federal dependents awaited congressional approval to keep the gravy train rolling. The fiscal cliff is unsustainable federal spending and skyrocketing debt. What Obama and congress did, shoves the nation off the fiscal cliff. But even more troubling is the fact that not a single member of congress had the decency or backbone to stand up and object at that critical moment in history when congress had the chance to stop it all and hold those responsible accountable. The ongoing gutless and anti-American acts of our illustrious public servants explains the mega boom in gun and ammo sales, which brings us to the second act of the new 113th congress, a massive gun and ammo grab. Despite FBI reports showing a steady drop in gun related crime each year as gun and ammo sales set new records and further FBI stats showing that only 4% of all gun related homicides are connected to “assault rifles,” the gun grabbers want these types of weapons only in their own hands, understandably so, as they become ever more corrupt and tyrannical. In fact, twice as many Americans die from a fist fight each year, than from assault rifles. So, what are the American people to do about the theft of their nation and the coming assault on citizens Second Amendment rights, among others? In my personal opinion, every member of the federal government has well-earned a public lynching for multiple criminal acts of high treason. But before we lock-n-load and begin any violent act to regain control of our runaway government, it is our duty as American citizens to exhaust every possible peaceful means to a solution as provided by our Charters of Freedom. Clearly, our Executive Branch thinks they are a dictatorship. Our Legislative Branch is operating as nothing more than a rubber stamp for the Executive Branch and the courts may be the most corrupt branch of our Federal Government, acting only as an enforcer for a corrupt and tyrannical regime. While it is clear that a major housecleaning should include every elected official in Washington D.C. today, I personally believe that our Founders frame work for self-governance, their Constitutional Representative Republic, is worth saving if possible. Organizations like The North American Law Center are established for the sole purpose of representing American citizens in broad legal battles necessary to protecting and preserving all of our God given and constitutionally protected rights. Among those right are a right to free, fair and honest elections and the Second Amendment. Without these two rights fully secured, we have no other rights. The Law Center is calling for donors, volunteers and witnesses for scheduled actions. If all Americans join forces, they can regain control of their country. Until then, nobody can do anything about what is happening to the greatest nation ever known to mankind. Comments Off on Obama Re-Elected without Objection? What will America look like in a post-American world? The National Intelligence Council, with its just-released Global 2030 forecast, has become the latest voice to join the chorus of those who see U.S. hegemony giving way to a leading but less-dominant position. It is worth considering what the loss of hegemony is likely to mean for America in terms of its trade, influence, reach and voice in international forums. What impact will these and any other consequences have on the way America engages with the world, as well as on its ability to provide the kinds of leadership that make it a hegemon? And how will all this affect the ways Americans live? Examinations of hegemonic decline have historically focused on the world beyond the imperial center. The barbarian invaders get most of the glory and attention, with the subjects of historical empires who lived in what is called the “metropole,” that is, the imperial center or “homeland,” as understudied as the nature of these places following a hegemonic collapse. In fact, the fate of some more-recent metropoles has been relatively positive over the long run. Austria, Turkey, Britain and even Russia continue to survive as viable countries. Some of them even thrive and may offer useful lessons. Austria, for example, is a small, prosperous, secure and mainly conservative imperial successor state. So is Japan. The question is how Americans will cope with such a changed condition. A loss of hegemony generally means a loss of access to markets and resources. In the case of the U.S., that would include the loss of global reserve status for the dollar, with implications for trade, government borrowing and interest rates. It will cost Americans more to get what they want, and, at the same time, they will have less to spend. As a result, they will have to do much more to live within their means. This will make it more difficult to influence or even inspire other societies to follow America’s lead, but it won’t be impossible. Elements of the American character — creativity, pragmatism, adaptability — may continue to serve the country and other nations well, if under different circumstances. Adjusting to those changed circumstances will require a more collaborative and empathetic approach to the way Americans interact with the world. Speculating about the American future in these circumstances requires a more precise understanding of the effect that global hegemony has already had on the United States and the global system. From the country’s founding to the peak of the industrial era, some Americans went out of their way to abjure the idea and the reality of hegemony, deliberately eschewing international engagement in the name of what was later called exceptionalism. In the 20th century others did the reverse, also in the name of exceptionalism. Now, in the 21st century, Americans seem to be doing both at the same time, while coping with ever more serious challenges at home and abroad. These challenges will likely be exacerbated by a loss of hegemony. At home, it is likely to be accompanied by a decline in prosperity, with potential implications for domestic civility. The proportion of Americans who now live in poverty, currently at 15 percent, will probably increase. National cohesiveness may deteriorate when Americans realize that the cultural, ideological and economic foundations of national “success” are actually much weaker than they imagined. Abroad, it will further constrain the effectiveness of America’s military as a tool for advancing American interests. America’s relative decline has already nurtured the increasingly widespread perception that the use of American military power limits American influence over the long term. Whereas hard power underwrote soft power — and sometimes vice versa — during America’s hegemonic rise, during its fall the two appear to be at cross-purposes. This reversal is consistent with much of the history of imperial decline. How will Americans respond to such a world, in which U.S. influence, already limited, is no longer advanced by its military dominance? And if it is true that, as Henry Kissinger said recently, America will remain powerful but not hegemonic, how do you preserve one while losing the other? Will Americans, and the rest of the world, be content with an Austrian or Japanese future for the U.S.? That is hard to imagine. But the alternatives, perpetual empire and national disintegration, are too awful to contemplate. If today’s preoccupation with decline is any indication, some Americans are in search of something like a grand global exit strategy. It may be better to imagine instead a post-hegemonic condition that retains some of the fruits of American exceptionalism — namely the exportability of its culture and technology — while multiplying the incentives, both domestic and foreign, against the frequent use of military power and other heavy forms of coercion. Time may be running out to shape these two goals in unison. It is difficult to say what this will mean in practice. Making the world safe for a hegemonic retreat has always been, to some extent, a fantasy: a pre-emptive concession that is too clever by half. Even America cannot dictate the world’s reaction, least of all that of its adversaries and challengers. There also is no fixed or predictable pattern of retreat. Sometimes imperial states, even hegemons, simply just disappear, leaving only the successor states behind. Kenneth Weisbrode is a diplomatic historian at the European University Institute and author of “The Atlantic Century” (Da Capo). Is Washington Ready For a Carbon Tax? 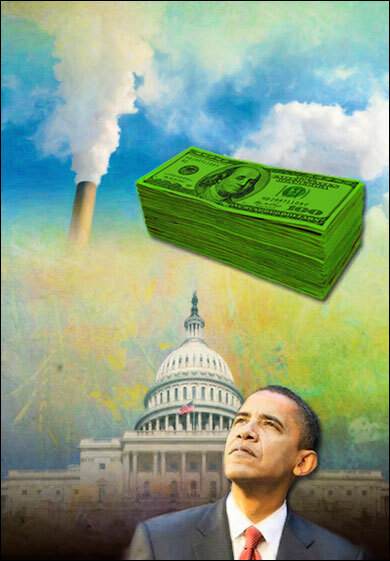 Should President Obama and Congress pursue a carbon tax? The policy proposal has been garnering increasing attention among Washington’s think tank and academic leaders across the ideological spectrum as a way to simultaneously combat global warming and cut the ballooning federal deficit. It’s unclear whether it will gain traction in Congress, given the dicey politics of new taxes and climate change, let alone the combination of the two. To wit: Republican leaders in the House have signed a “no climate tax” pledge, indicating a steep path to passage through the House. These challenges aside, some experts say that Congress could impose a carbon tax in exchange for a lower income-tax rate as part of the comprehensive tax reform that lawmakers hope to tackle next year. What are the policy pros and cons of a carbon tax? How does a carbon tax compare to other policy proposals, such as cap-and-trade, in terms of both political feasibility and policy? Can Congress overcome the political hurdles to pass such a measure? If so, what would it look like? Comments Off on Is Washington Ready For a Carbon Tax?